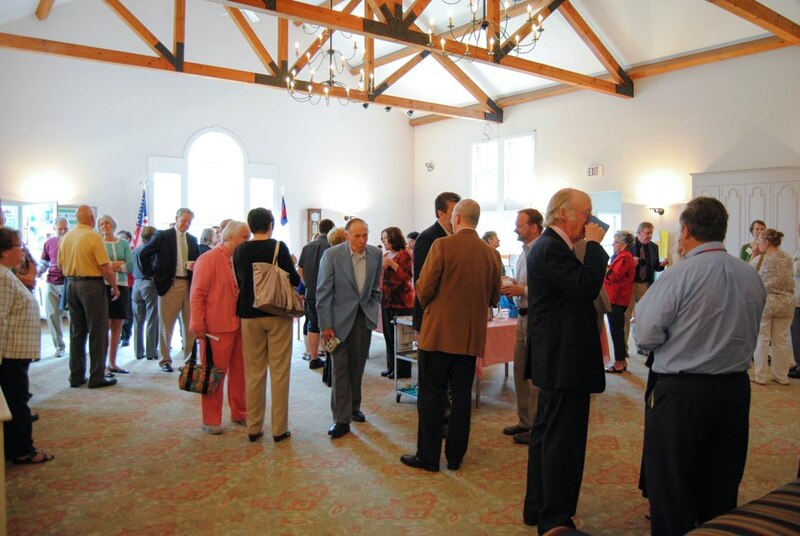 What can I expect when I attend a service at First Congregational Church in Woodstock? We have highlighted some key information in this section, but the best way to get to know our church is to talk with the people here. Don’t hesitate to strike up a conversation with our pastor, deacons, greeters, or the people in your pew, and learn more about our life of worship, fellowship, and service together. Our regular Sunday service is at 10 a.m. Summer services are at 9 a.m. (please read more here). Children are invited to leave the service after the Children’s Message for Sunday School. First Congregational Church is located at 543 Route 169, next to the cemetery on Woodstock Hill. Parking is next to the church and along the green. Find directions. As you enter the church, a friendly usher will greet you and give you a bulletin to guide you through our service. All of our services feature reading, preaching, prayer, and music. At times, you will be invited to stand, sing, pray, greet your neighbor, be in silence, or read responsively. An offering to support the church’s ministries is collected each Sunday. We welcome your gifts, but if you are unable to give financially, please consider an offering of time or talent to the church. Communion is offered at First Church on the first Sunday of each month. Our communion table is open to everyone—baptized or not, confessed or not, sure or not, saint or sinner or a little of each. Do you offer childcare and Sunday School? Childcare is available during our Sunday service in our Nursery on the lower level. Sunday School programs are offered for children in kindergarten through eighth grade. We use a Rotational Workshop model and more details are available on the Sunday School page. Ask an usher for directions to the classrooms or follow the signs in the Narthex. Some people come dressed in their Sunday best. Others dress more casually. Either way, we believe that God cares more about the state of our hearts than the state of our attire, and encourage you to dress the way that feels most appropriate to you. Sunday worship lasts about an hour. Special events may stretch that time to an hour and 15 minutes, but who’s checking their watch? After each worship service, there is a time of fellowship and refreshment in Harrison Hall, behind the Sanctuary. We invite you to stick around for a snack or beverage, strike up a conversation, and make some new friends! Our ramp along the side of the church brings you into the vestibule off the front of the Sanctuary. An elevator provides access to the lower and main levels. Please feel free to chat with our minister after church, or one of the Deacons with gold nametags. You can also contact us by email and we’ll make sure your question gets to the right place.